Most of our clients resurface their kitchen countertops and bathroom vanities to update or freshen up tires or worn surfaces. Many kitchen countertops are structurally sound, but are out of date or they look worn and in need of repair. Homeowners are tired of having to decorate around old, out-dated colors and patterns or hiding damage. 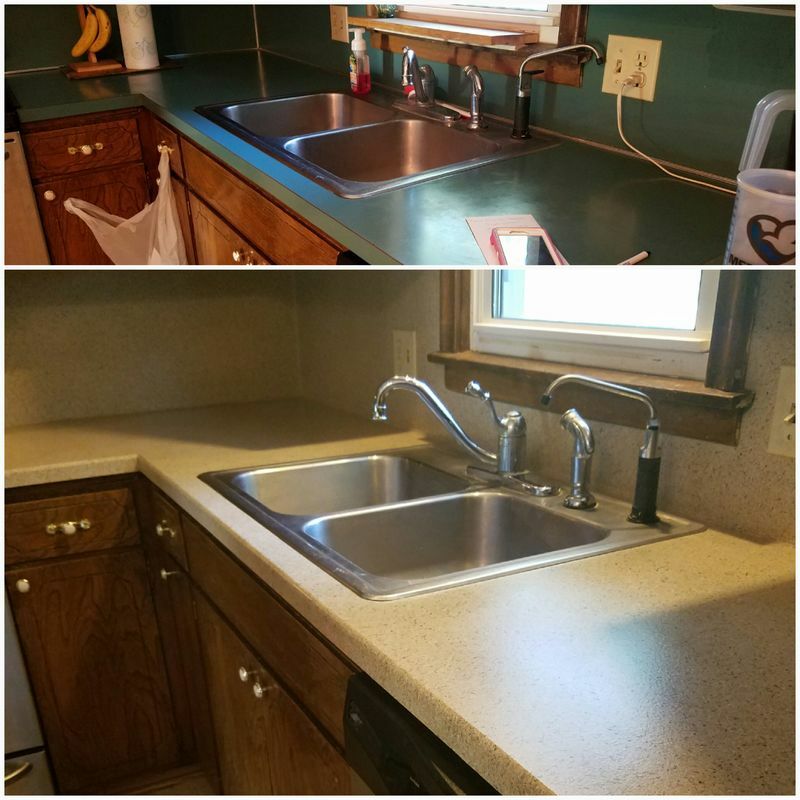 At Renew Resurfacing, when we refinish your kitchen countertop, we apply a new more durable finish over the existing countertop to give a beautiful solid surface look of granite or Corian at a fraction of the cost. The color and pattern is changed and the damage is repaired without having to go through the time and expense of a messy tearout and replacement. It is a one day process and then you get you kitchen or bathroom back. You will get a new refinished countertop that will appear to everyone that you have expensive new solid surface countertops. The new finish is as durable as the original surface but even more stain resistant. It carries a five year warranty but with proper care will last for years. 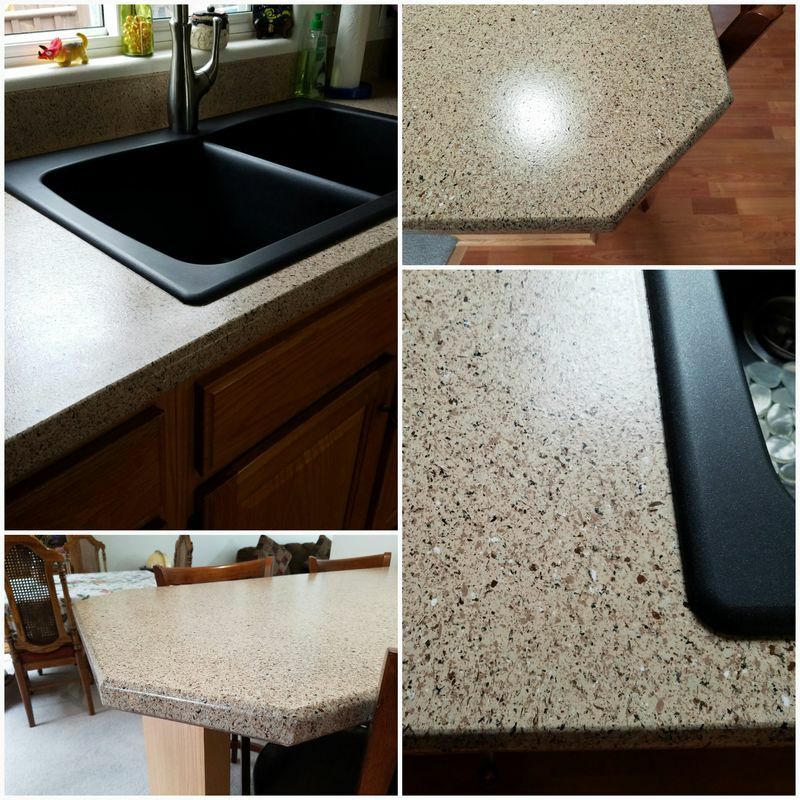 We also bevel or round over the front edge of your existing countertops to give them a true solid surface look of granite. One of the telltale signs of a laminate or Formica countertop is the black lines and the squared off front edge of the counter. Renew Resurfacing’s process eliminates the black lines and softens the front edge just like granite or Corian. The results are amazing. The only thing you’ll love more than your new countertops and vanities will be inviting family and friends over to enjoy them with you. Everyday “living” takes an eventual toll on many of the surfaces in our homes. It’s common to replace our flooring or repaint our walls but seldom do we consider other surfaces such as countertops and vanities. Often this is due to the perception that it will either be too costly or intrusive to our very busy lives. So here’s where Renew comes in… We’ll transform your existing surfaces without breaking your budget or disrupting your busy schedule. Resurfacing your bathtub, sink and countertops cost a fraction of the price to replace and you are often able to use the refinished surface the very next day. Our professional, factory trained and certified technicians deliver the highest quality service available in the industry. 75% of the time we spend refinishing countertops is spent preparing your surfaces for the industrial grade resins that we apply. We first clean the surface, removing all impurities that could affect the quality of adhesion. We then create a mechanically bondable surface with either an acid etch or mechanically abraded process. This is determined by the type of surface we’re working with, whether enamel, porcelain, ceramic, fiberglass or laminate. We then create a new beveled or rounded over edge to your countertop and vanity. This is a step that is unique to Renew Resurfacing and is not performed by anyone else in the region. This gives your countertops a true solid surface look and feel by removing the unsightly black lines and flat face front edge of traditional laminate countertops. ​Once the surface has been cleaned, abraded and reshaped we repair any damage that may have been done to the surface over the years. Now that the surface has been properly prepped and repaired, we tape off and cover every surface in the room we don’t want to change. Once the surface has been properly prepared, we then apply coats of primer. Once the primer has set, we then apply the StoneFleck color coating. This is where the artistry of the process kicks in. We don’t simply spray it on. We actually apply it in strokes and layers, almost like an artist apply oils to a canvas. This ensures a beautiful surface that is difficult to see the difference from a natural product. Once the StoneFleck has cured we then apply 4 layers of an aliphatic urethane clear coat. It’s the same products used in the aerospace industry and on industrial flooring but it’s tweaked a bit for your countertop. This is what gives the finished product the sheen, durability and scratch resistance that the allows it to last for years. The materials we use are only available to factory trained and certified refinishers. 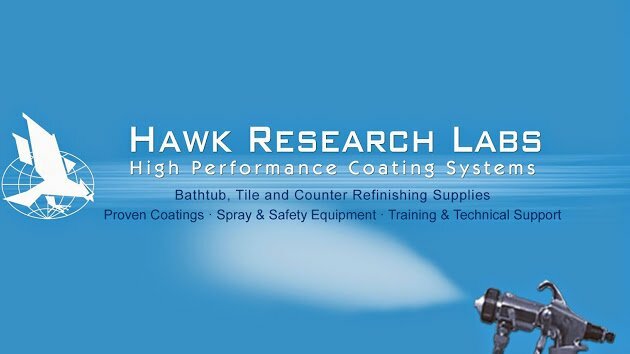 Our products are listed on the preferred refinishers list for many Fortune 500 companies such as Disneyland Resorts®, Marriott Resorts®, Hyatt® and Hilton Hotels®. The most critical difference between high and low performance coatings is the actual number of chemical bonds holding the molecules together. The higher the cross-link density, the higher levels of overall film durability and life-span. You should never allow a contractor into your home unless they can produce and show you that they are adequately insured and bonded and that they have the proper certification to perform the services you are entrusting them to properly perform in your home. Renew Resurfacing is fully insured and certified to perform resurfacing services within your home and commercial properties. We are also fully bondable when a commercial property requires a surety bond to fulfill a contract. We can provide proof of our coverage upon request. After our consultation with the agent and homeowners; they chose their color and style of edging and we were able to schedule the project a few days later. That evening they had a fresh new look and feel to the kitchen, the most important room in the home. 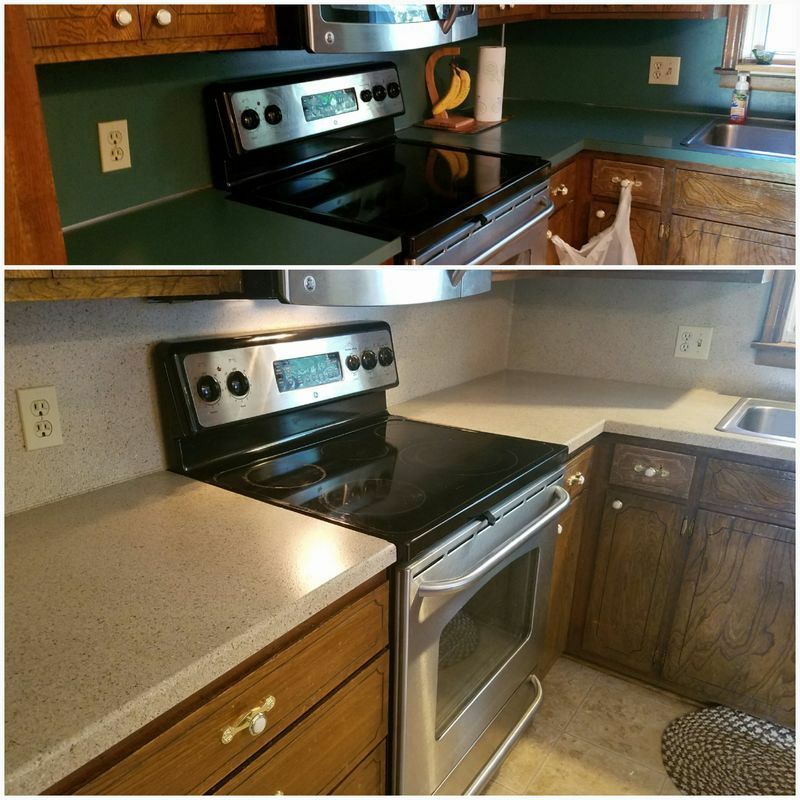 A few days after we transformed their kitchen countertops, the homeowners accepted an offer for their asking price. Give us call to set up your free consultation!